The table below shows the average results of the participating teams, with links to the renderings and description of the individual teams. 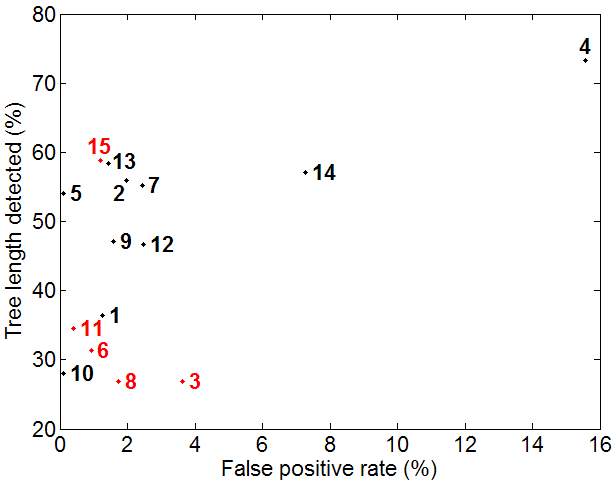 Average false positive rate versus tree length detected of all participating teams, with teams in the semi-automated category in red. The following table shows the branch count and tree length of the reference for the test cases.